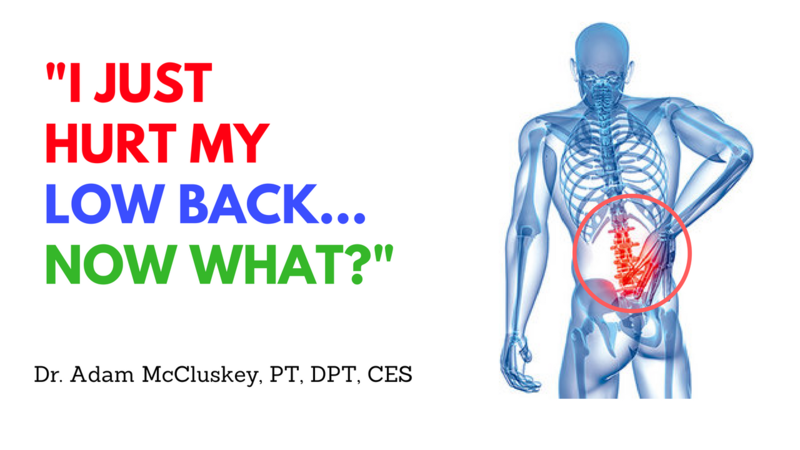 I Just Hurt My Low Back, Now What? You tried to hop out of bed this morning, but instead, had to slowly roll to one side, and push yourself up with your arms. Just standing up straight feels nearly impossible. It’s hard to find a comfortable way to sit without feeling a sharp pain in your low back. It feels like you will never work out the same again. Hopefully this doesn’t describe your morning, but if it does, just know that you're not alone. Telling you that plenty of people experience this doesn’t get you out of pain, but I do hope this article can help shed some light on what’s actually going on in your body, and what you should do (and not do) about it. Low back pain is the fifth most common reason for physician visits. (2) That’s pretty high! 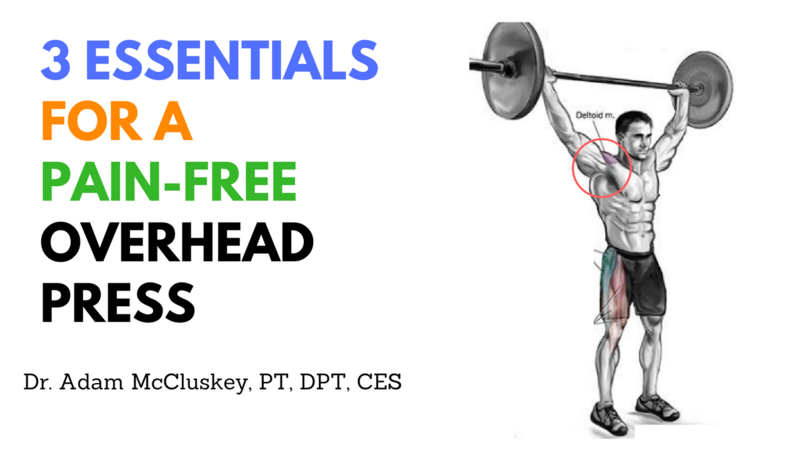 Have you ever had issues with overhead lifting? Let’s check out 3 key areas to improve to get you back to a pain-free overhead press. Being sandwiched between the shoulders and lumbar spine, the thoracic spine gets overlooked as a key player in movement mechanics. It serves as an attachment site for all of our ribs, and it forms the base that our shoulder blades move on. The key aspect that we need from this part of our spine is extension. That means being able to reverse some of the natural curve in our upper backs. This will allow the shoulder blades to upwardly rotate smoothly on the rib cage. This in turn sets us up for good shoulder position. Ignoring the thoracic spine is a huge mistake when trying to optimize your overhead movements. Here are some fantastic ways to maximize your thoracic spine mobility. 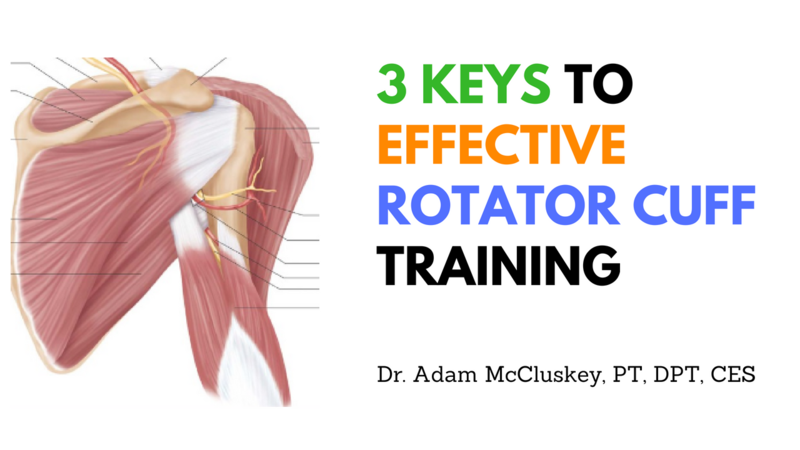 For as popular as the Rotator Cuff is, there are plenty of common misconceptions about what it's role is, and how to train it effectively. Before we get into some key points to strengthening the rotator cuff, let's get a better idea of what these muscles are there to do. The rotator cuff is a group of 4 muscles that work in conjunction to provide dynamic stability to the arm in the shoulder joint. When you lift your arm out to the side, there is some serious synchronization of several muscles within and around the shoulder making this happen. 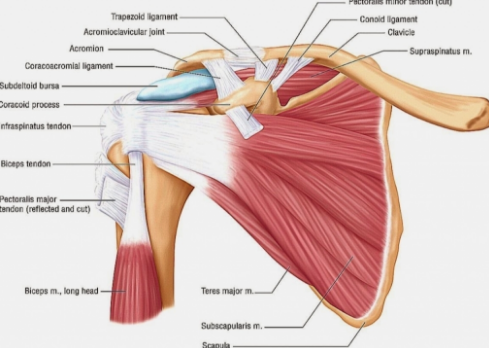 Pictures on the internet do a poor job of showing how interconnected the rotator cuff tendons are to each other, as well as the shoulder joint capsule. I did find one that does a fair job of this. FREE 20 Page Step-By-Step Guide to Improving Your Shoulder Mobility and Strength! Before you go, make sure to grab a copy of my Blueprint to Bulletproof Shoulders for Free-99! It's a step-by-step guide to assessing your mobility and building strong and healthy shoulders!